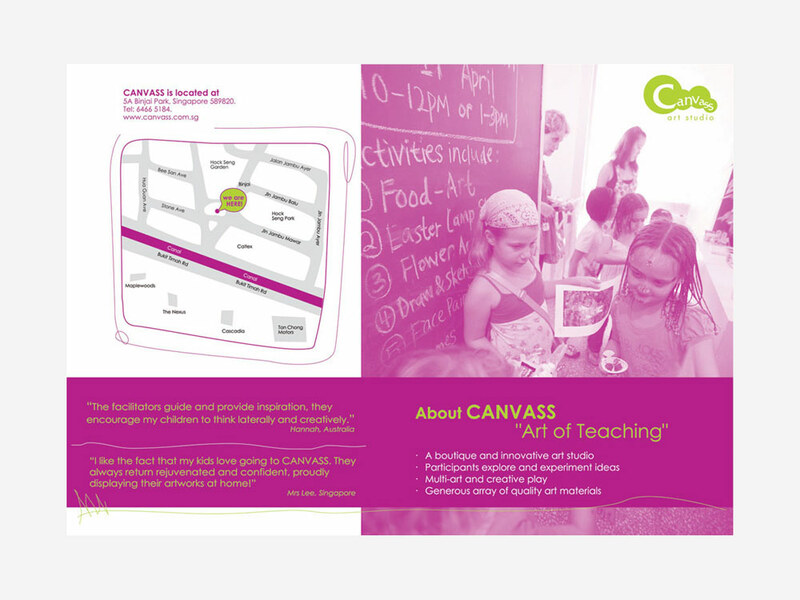 Canvass is an art studio that organises classes and workshops for all ages. 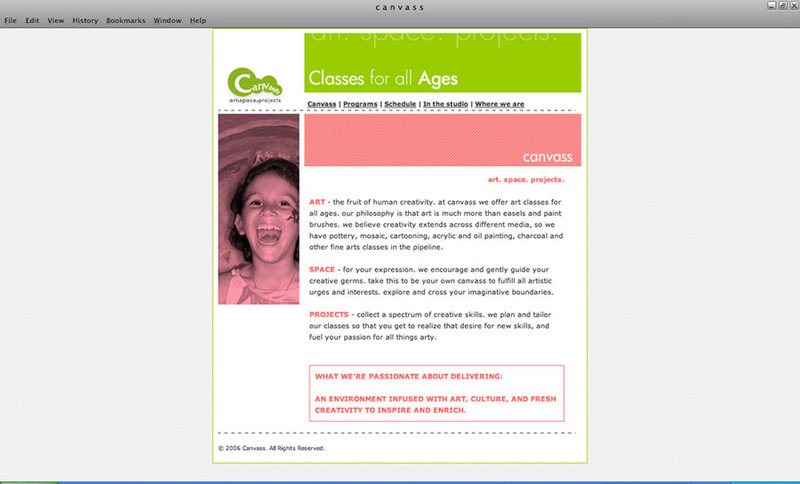 Besides creating an identity for the studio, website and other print collateral were designed and produced too. 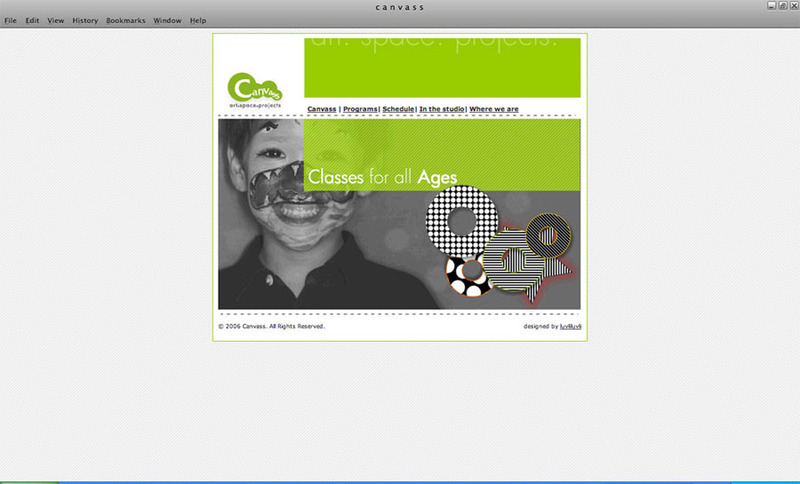 Brief: Logo design - not corporate, fun, eye-catching, and is easy to apply across their collateral.